Need to create backup Google Apps data? 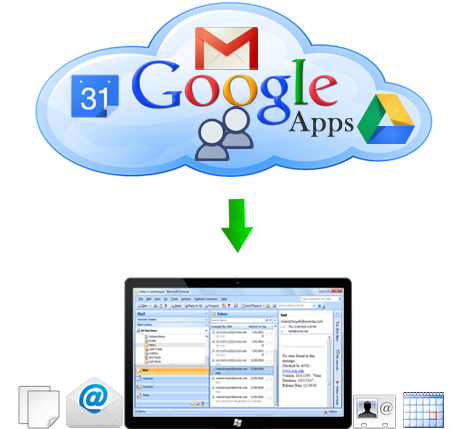 Download & Try Google Apps Backup Tool to easily create backup of Google Apps. With the help of Google Apps Backup Tool, you can easily take backup of Google apps suite including Gmail, contacts, calendar & documents. The tool provides the ability to backup entire email database of Google Apps on your computer hard drive. The query, “How to create Google Apps backup” gets easily resolved with this Google Apps backup software. Download now Demo Version of Google Apps Backup Tool for FREE! Try Google Apps Backup software and you can easily take backup of Google apps data. Download the Demo version of Google Apps Backup Tool and create Google apps backup easily.To create Google apps backup, purchase full licensed version of the Google Apps Backup Tool. Provides two advanced options to backup Google Apps database - By this tool, you get two types of options, one option is Delete after backup and other is Date Wise backup. Offers easy process to carry out backup process - The process to create Google Apps backup is very easy with this tool, you just have to enter the ID and Password to begin and carry out the backup process. Generates highly flexible PST, EML & MBOX file - The resultant PST files and EML files, which gets generated by this tool are highly flexible, you can access them in all PST, EML and MBOX supported email clients. Works smoothly in all the editions of Windows - The tool provides the ability to perform a smooth Google apps backup process in all the editions of Windows. Maintains accurate folders hierarchy in backup process - When you choose this tool to perform backup process then, all your items get transferred in their associated folders.